← 52 Fridays…What are You Afraid Of? Happy 52 Fridays, Friends! Have you been experiencing times lately where you are so stressed, when you stop to think, you aren’t even breathing? Well then, grab that journal and breathe! 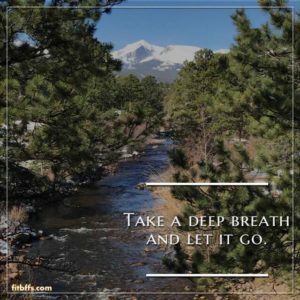 Take a few moments to relax, breathe deeply! Consider those times you may find yourself holding back your breath in anxiety, frustration, disappointment, struggle. What would happen if, when you find yourself in those moments, you take a step back and breathe? Jot some thoughts down in your journal regarding those moments you realize you’re holding your breath. When you find yourself there, take that breath. Where can you journey to in your heart, mind and soul? If you have a few places in mind, at the ready, you can escape nearly any situation, any time, Friends…give it a try! It really can be this simple to put your Best Foot Forward! 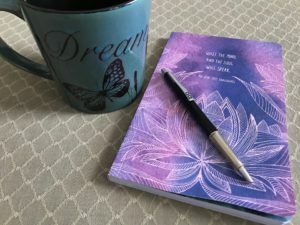 This entry was posted in Healthy Lifestyle and tagged 52 Fridays, breathe, deep breath, healthy lifestyle, inspiration, journal, journaling journey, journaling journey of you, mindfulness, motivation, wellness. Bookmark the permalink.